Can China and India rise peacefully? this is a one million question that needed to be answered. As some might argued, the China rise would eventually ask the India to balance against her. Instead of balancing directly, the US can use India to balance against China. Yet. this article gives another meaningful insight about the relationship between China and India. It seems that while China and India feel threatened by each other, cooperation seems like an increasingly attractive course. The rapid and simultaneous rise of China and India has raised serious concerns about an inevitable, if not existential, competition between the two emerging powers. Unsurprisingly, there has been a cottage industry of commentary on the coming clash: In August 2010, the Economist‘s front coverblared “Contest of the century: China v India“; a new book from China watcher Mohan Malik is titled China and India: Great Power Rivals; the pages of the Chinese and Indian press — particularly the latter — are filled with columns focused on conflict; and the blogosphere in both countries is often scarily nationalistic about the relationship. Of course, Chinese and Indian leaders tend to emphasize that the relationship is stable and downplay any talk of rivalry. According toChinese Premier Wen Jiabao, “China and India are partners for cooperation and not rivals in competition. 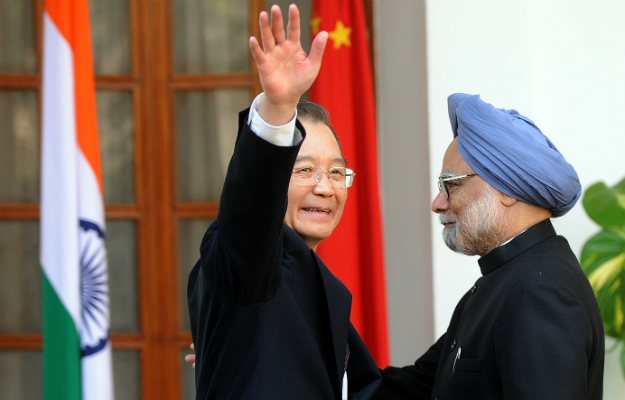 There is enough space in the world for the development of both China and India.” Similarly, Indian Prime Minister Manmohan Singh insists, “India and China are not in competition.… There is enough economic space for us both.” If there is a paradigmatic instance of the growing convergence between the two countries, it is the explosive increase in Sino-Indian trade: from $2 billion in 2000 to $60 billion in 2010, a figure that is projected to double by 2015. Should Indonesia Continue KFX/IFX Program?